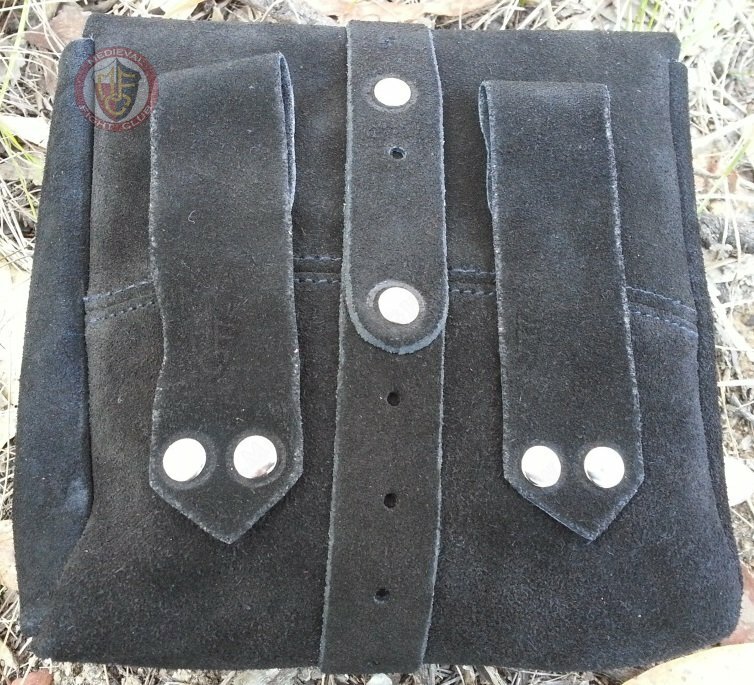 Large black pouch - has a two loops on the rear that a belt 75mm wide will thread through. 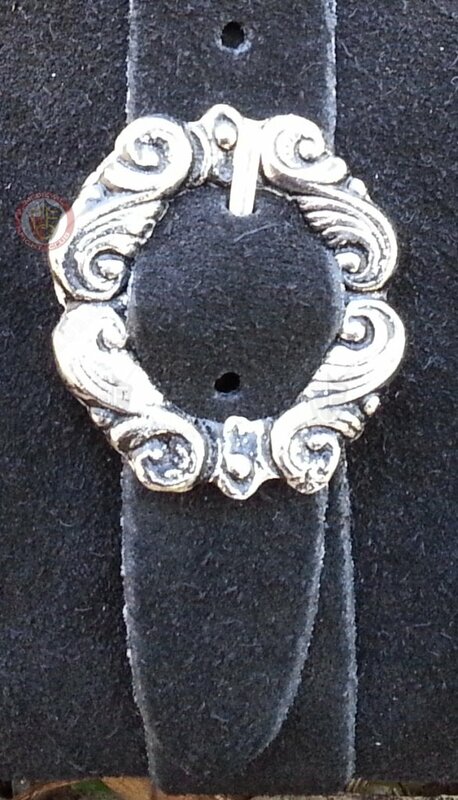 It is a deep black colour with filigree buckle. Ideal design shape for storing spell components, phones & dice. 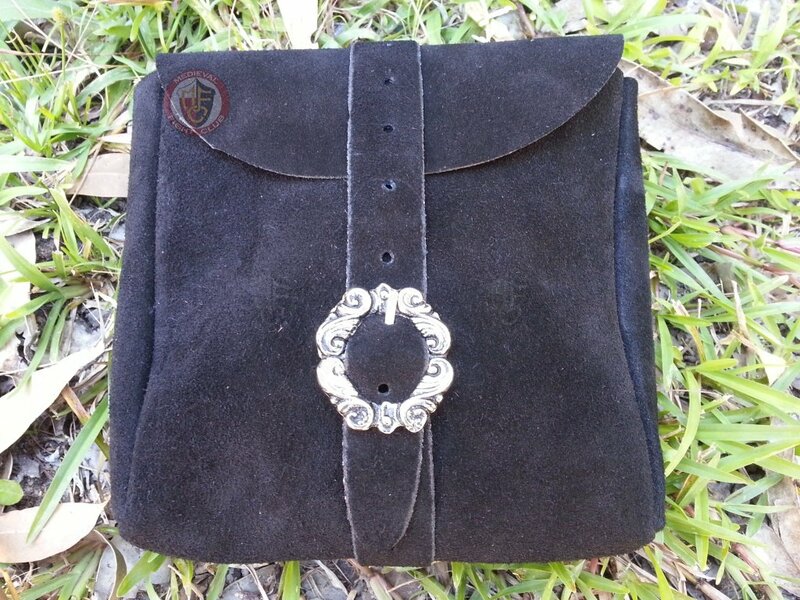 See pictures for more details of the quality of this pouch.